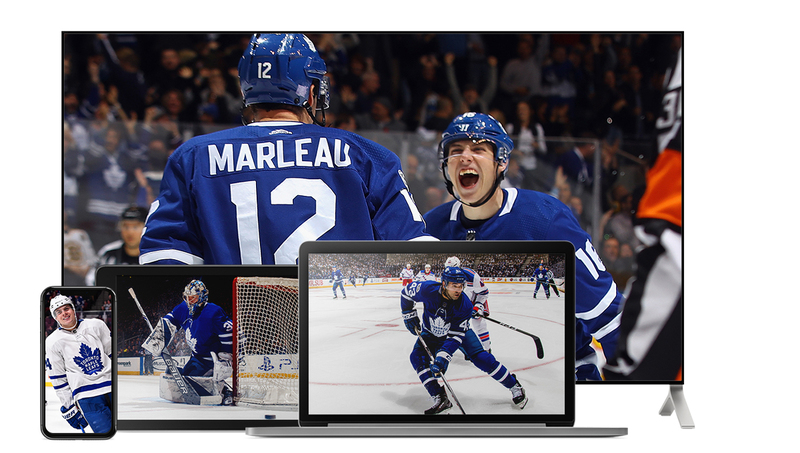 Which Leafs games are included with a subscription? Skip the freezing, stuttering and headaches. 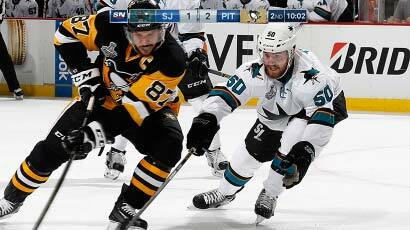 Sit back and watch sports on your big screen in glorious and reliable HD. Can’t choose between two great games on at the same time? You no longer have to with our split-screen view. Simply drag and drop both games to view them side-by-side. Missed the game? No problem. On desktop, you can rewind up to 24 hours via the Schedule tab to watch anything you’ve missed. 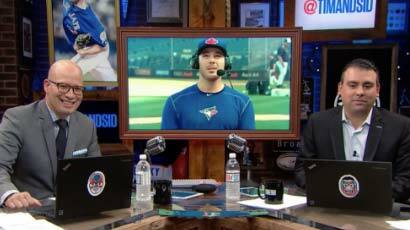 Keep up with all your favourite Sportsnet programming, including Tim & Sid, Gotta See It, Sportsnet Presents and much more. Click on the 'Shows' tab on desktop to get started. Watch on your big screen through Apple TV, Chromecast, Xbox One or PlayStation 4. Watch on the go with your smartphone and tablet, or on your desktop. 1. You will be billed each month according to when your subscription began. For example, if you signed up on the 21st of the month, that is the day that you will be billed on each subsequence month. Rogers/ Sportsnet has the right to review pricing rates at any time. 2. 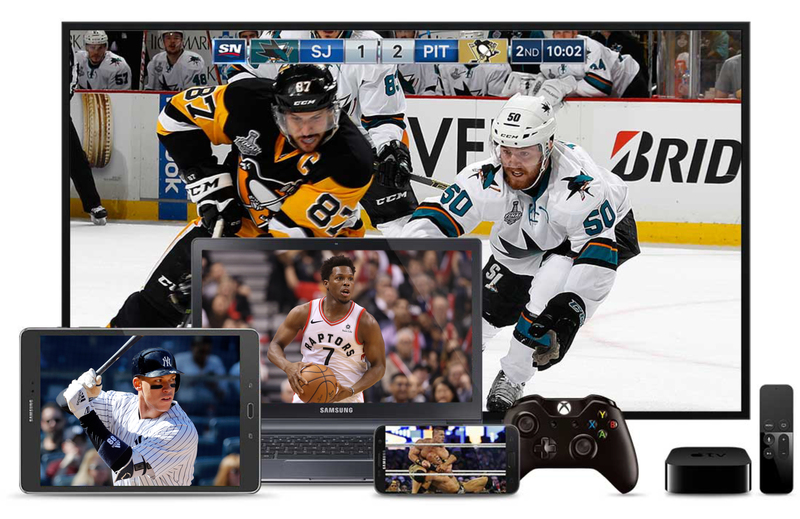 Sportsnet NOW service included with select TV service providers including Rogers, Shaw, Telus, Bell, Source, Cogeco and SaskTel. 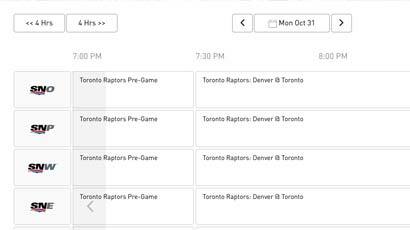 Due to rights restrictions, certain sports properties may be blacked out in Sportsnet NOW. 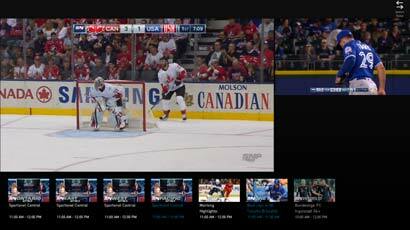 Sportsnet reserves the right to replace these restricted properties with alternate content within Sportsnet NOW to improve the user experience. TM: NHL, the NHL Shield, the word mark and image of the Stanley Cup and the Stanley Cup Playoffs logo are registered trademarks of the National Hockey League. NHL and NHL team marks are the property of the NHL and its teams. © NHL 2016. All Rights Reserved. NBA, the NBA logo and team identifications are the exclusive property of NBA Properties, Inc., and the respective member teams. ©2016 NBA Properties, Inc. All Rights Reserved. MLB, Major League Baseball, and any team logos are trademarks or registered trademarks of Major League Baseball Properties, Inc. Major League Soccer trademarks and copyright are property of Major League Soccer, LLC ©2016 MLS. Apple, iPad, iPhone, App Store and Apple TV are trademarks of Apple Inc. Android is a trademark Google Inc. ™Blue Jays, Toronto Blue Jays, Jays, bird head design and all related marks and designs are trademarks and/or copyright of Rogers Blue Jays Baseball Partnership, used under license. Major league Baseball Players Association-MLBPA trademarks and copyrighted works, including the MLBPA logo and other intellectual property rights are owned and/or held by MLBPA. ™Grand Slam of Curling is used under license. ™Fifa World Cup is a trademark of Fédération Internationale de Football Association. Trade marks, logos and brand names are owned by the Football Association Premier League (“the FAPL”). WWE is a registered trademark of World Wrestling Entertainment Inc. ™Rogers Cup, Sportsnet, Sportsnet Now, Sportsnet Central, Sportsnet One, Sportsnet 360 and Tim & Sid are trademarks of or used under license from Rogers Communications Inc., or an affiliate. All other brand names, titles, logos and marks are trademarks and/or copyright of their respective owners. © 2016 Rogers Media.